"In 1972, Vesna Vulovic fell from 33,000 feet, which is the cruising altitude of a Port Harcourt bound Lagos flight. 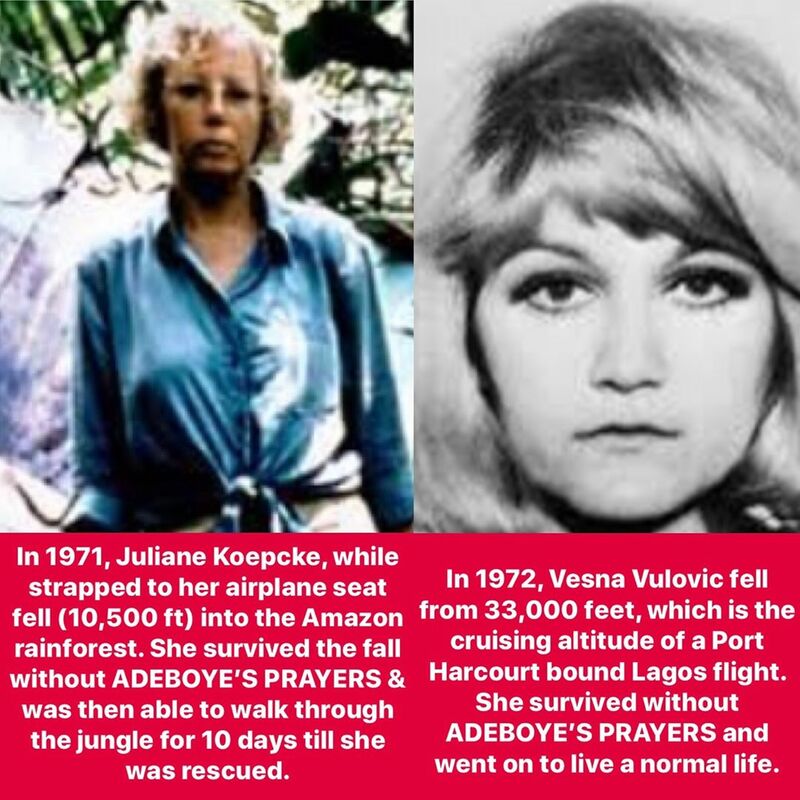 She survived without ADEBOYE’S PRAYERS and went on to live a normal life. In 1971, Juliane Koepcke, while strapped to her airplane seat fell (10,500 ft) into the Amazon rainforest. She survived the fall without ADEBOYE’S PRAYERS & was then able to walk through the jungle for 10 days till she was rescued".